from in-depth research and community feedback. In me, you’ll find a hands-on systems-thinker. I’m a designer at heart with a track record of making things easier—delightful, even. And a facilitator with a decade of bridging perspectives among all manner of creative misfits: activists and data geeks, policy wonks and start-up go-getters. I help to roll out solutions-driven community research methods. Orchestrate engaging prototypes in service design. And inspire action with stories that show-don’t-tell. — Marc Langlois, PhD, Evaluator, Facilitator and Author of "A Practitioner's Guide to Developmental Evaluation"
A youth-serving mentorship network reinvents its brand while reimagining its value proposition as a 21st-century social enterprise by and for young people. A high-stakes national partnership experiments with breakthrough practices in Reconciliation and cross-cultural dialogue for Canada’s next 150 years. An innovative, multi-agency partnership learns from senior caregivers about how to generate, implement & scale community-level approaches that reduce social isolation. How might we re-brand and re-imagine a volunteer-driven mentorship network so that young people feel affirmed and enabled as the leaders best equipped to support their peers? Umm… Can a community even have a brand? 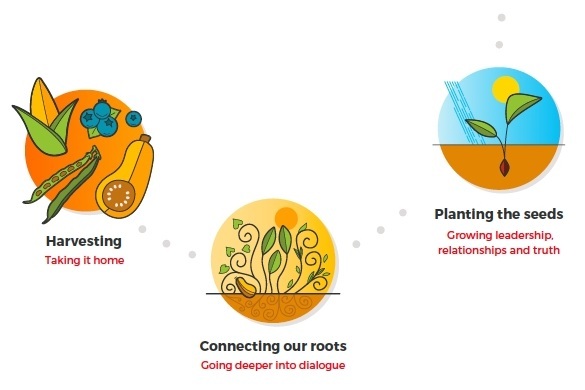 What are the key outcomes and practices that will enable cross-cultural dialogue so that Indigenous young people are at the centre of ‘Reconciliation’ efforts and non-Indigenous youth can learn how to build respectful relationships of support? 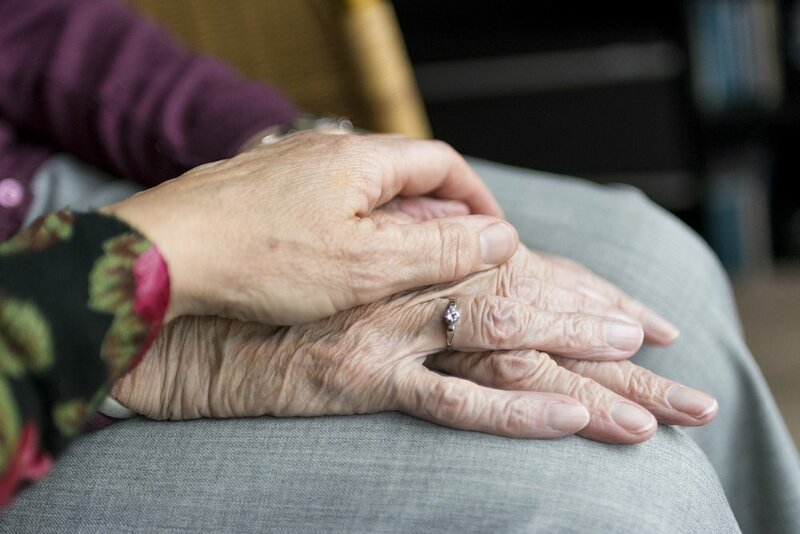 What collaborative practices and outcomes are needed to coordinate care between diverse agencies so that they can support senior caregivers who are under-served by the social safety net? / Website, logo & brand identity. Built and animated with contributions across the provincial network, which fuelled member-driven engagement and led to more youth in paid leadership positions. More significant than a website was the social spin-offs it enabled online, and especially off. Our existing culture of inclusive gatherings became our brand, which fuelled the growth of our culture with new members in turn. We seeded a website that affirmed volunteers in their contributions to social justice and culture change, and encouraged others to come out in person. By creating a videos, photos and social media touch-points around the feeling of a “modern bonfire,” we piqued the interest and motivation of our diverse audience of community leaders to show up. As attendance at YSI’s in-person gatherings increased, we supported members to hone their own storytelling through platforms of their creation, like youngelders.tumblr.com/. / An influential ‘learning document’ for funders. Gathered stories and facilitated design principles that summed up YSI’s radically inclusive model for ‘scaling’ community development. By connecting first-person change stories to the “minimum specifications” for our model, this document gave YSI the credibility they needed to build new partnerships (including with funders) to expand their efforts across Ontario. Almost 3 years later, this growth and development is still flourishing. / An evidence-based curriculum framework. Co-designed with deep collaboration, which laid the groundwork for scaling up initiatives in training and storytelling—from two staff to five. This curriculum document was a deeply collaborative learning experience that enabled 4Rs to launch an innovative national initiative, including experiential trainings and public storytelling. 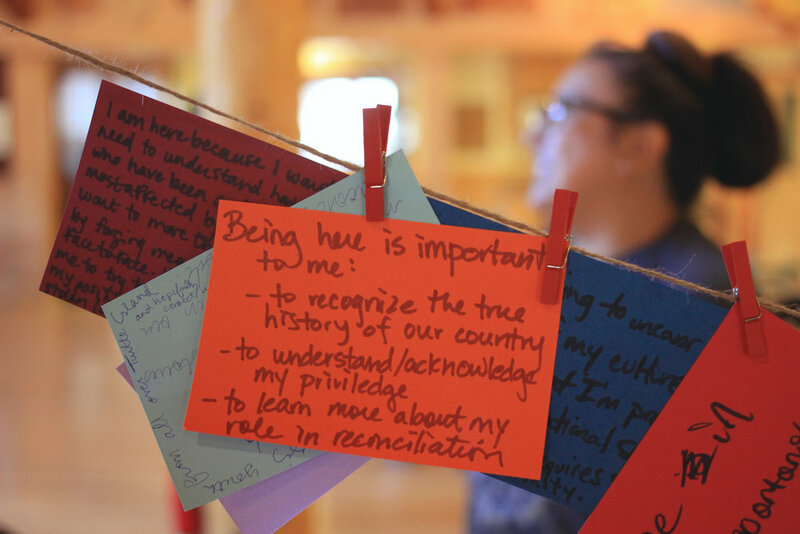 Together, 4Rs continues to disrupt and rebalance the slanted mainstream narrative around reconciliation from the pedestal of ‘Canada 150’ celebrations. Partners of the 4Rs Youth Movement included: The National Association of Friendship Centres, The Assembly of First Nations, The Native Women’s Association of Canada, Indigenous People’s Assembly of Canada, The Métis Nation British Columbia, YMCA National, YWCA National, Big Brothers and Big Sisters of Canada, Boys and Girls Club of Canada, Pathways to Education, The J.W. McConnell Family Foundation, Community Foundations of Canada, The Inspirit Foundation, and The Counselling Foundation of Canada. / An evidence-based compendium for self-evaluation. Synthesized the pilot learnings from our 10-month coaching process, which provided funders and other grant recipients across the country with a roadmap for inter-agency collaboration. 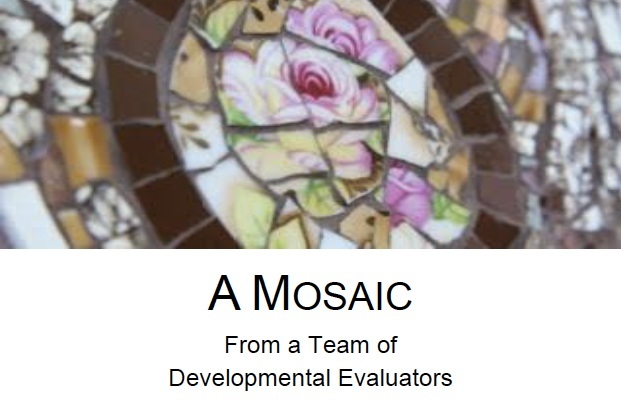 This document was a culmination and synthesis of our 10-month coaching process between a team of 4 fellow evaluators and social innovation consultants. Because this was a pilot project for a major federal funding envelope, the project managing organization has affirmed that the lessons here fuelled learning and innovation across the country. / An interim report from CMHA, my client organization. Outlined experience from the Canadian Mental Health Association (Ontario), who were my client organization that I coached within the wider partnership. Partners of the Enriches included: Employment and Social Development Canada funder); Innoweave (Project Managers); and the implementing partners we supported: The Alzheimer Society of Toronto, the Canadian Mental Health Association (Ontario Division), North York Community House, WoodGreen Community Services, Sinai Health System’s Reitman Centre and Sinai Health System Foundation. Do you see your work in mine? You're a person. I'm a person. Let's get coffee.